Mini Skips or Skip Bins, as they are known are not all created equal. owners Geoff and Lyn King and a wide range of bins. Small, medium or large, and for a variety of purposes. Moving, clean outs, construction debris, garden waste, renovations or any other reason, the North East skilled team will deliver your bin when you are ready and pick up your bin promptly when you are done. All available at “no lock-in contracts”. Which means you are able to use your bin as required, for as long as you like. 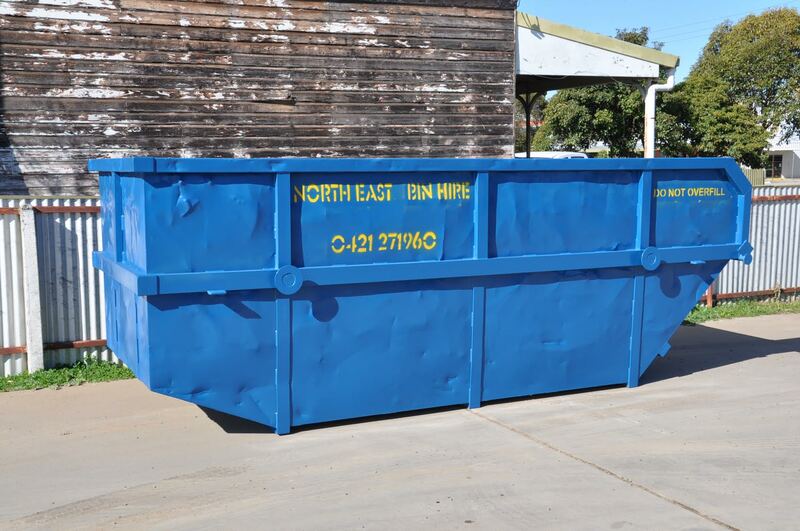 North East Bin Hire has been serving northern Victoria, and southern N.S.W region for around 15 years, which makes them the local bin hire company that can help you find the bin that best suits your needs, at the best possible price. North East Bins will deliver and pickup bins anywhere in the Riverina, Murray Valley and North East Victoria. Once you’ve filled your bin, the last thing you want is for it to be hanging around and in the way. Waste removal is carried out promptly and professionally by a skilled team. 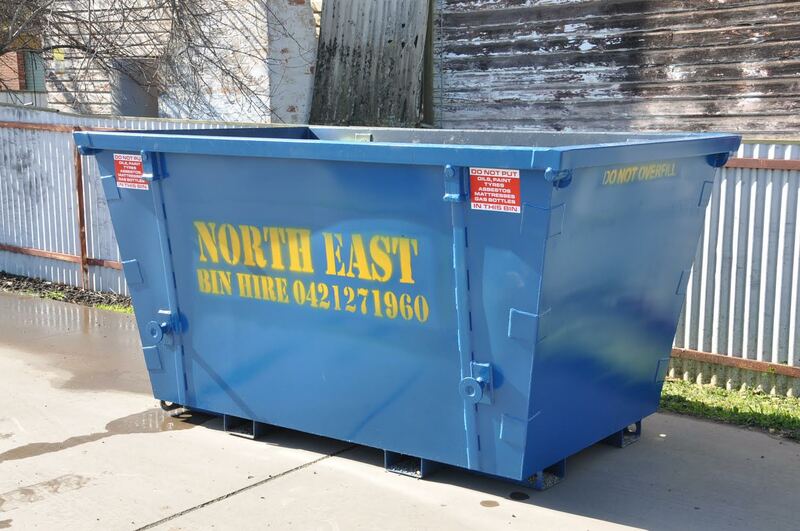 North East Bin Hire have the largest range of bins available, ranging from wheelie bins through to commercial hook bins. North East Bin Hire offer a wide range of different skip bin sizes, for a variety of uses, in sizes from 2 cubic metres to 14 cubic metres. To help you select the right bin size, simply select your project and choose a bin. Every year North East Bin Hire help thousands of customers get rid of their waste. There are only few things to know. 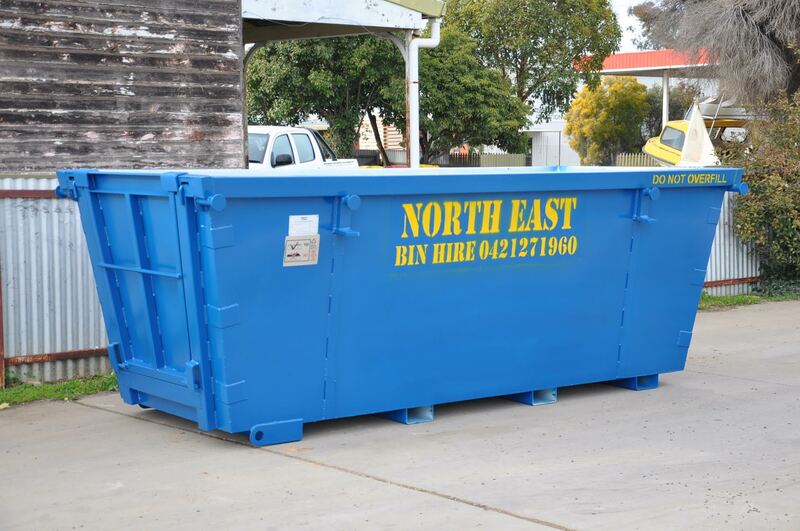 Copyright © 2014 North East Bin Hire Pty. Ltd. All Rights Reserved.